Rapper Benzino was shot as he drove in his mother’s funeral procession in what police say was family feud turned violent. The shooting took place on the southbound lane of Route 3 outside of Boston, causing the road to be closed while police investigated the shooting. The Duxbury Fire Department said the victim, whose real name is Raymond Scott, was dropped off at a police station with a gunshot wound and then taken to South Shore Hospital. 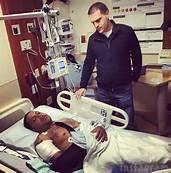 After rapper Benzino was shot, police arrested his nephew, Gai Scott. Police have charged him with armed assault and intent to murder, and he is scheduled to be arraigned Monday in Plymouth District Court. Police say the shooting took place during the funeral procession with the cars driving next to each other. Father William Williams, who presided over the ceremony, said there was a bloody scene when the funeral procession arrived. 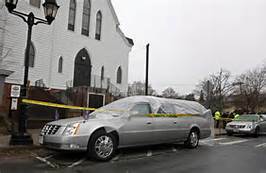 “I said to one of the guys, ‘There’s blood on the hearse,’ the clergyman told the news station. The Duxbury Police Department released a statement about the shooting on Saturday, informing the public that a suspect had been apprehended. Rapper Benzino is the former owner of the hip hop magazine The Source and star of the reality show Love and Hip Hop Atlanta. 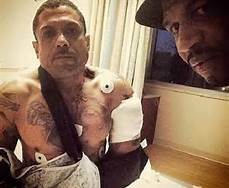 Relatives say that rapper Benzino was shot as part of an ongoing feud with his nephew and that the two have been at odds for years. I JUST WANNA THANK EVERYBODY WHO PRAYED AND SENT THEIR SINCERE CONCERNS FOR ME AND MY MOM, SHE WAS FINALLY LAID TO REST AMONGST ALL THE CHAOS, YOUR KIND WORDS AND THOUGHTS HAVE REALLY HELPED ME HEAL FASTER. ALTHOUGH I WILL HAVE A LONG ROAD OF PHYSICAL THERAPY AHEAD OF ME, I WILL BE EVEN STRONGER. GOD IS GREAT AND THE DEVIL IS A LIE”. Why did his nephew want to take the life of his dear Uncle Benzino? Could the tension between the two be so deep, that his nephew thought it was worth Benzino’s life? I hope they work things out because I hate to see a family divided.